Helping people live happier & healthier lives. Team Wellness is an exciting and unique health and wellness program designed for individuals with and without intellectual disabilities. Participants are led by a trained Wellness Coach and receive guidance, direction, and encouragement. Not only is this program easy to follow, but it’s easy to sustain in the longer term. The program includes wellness training over an 8 to 10 week program and training sessions occur once or twice a week for 1 1/2 hours. 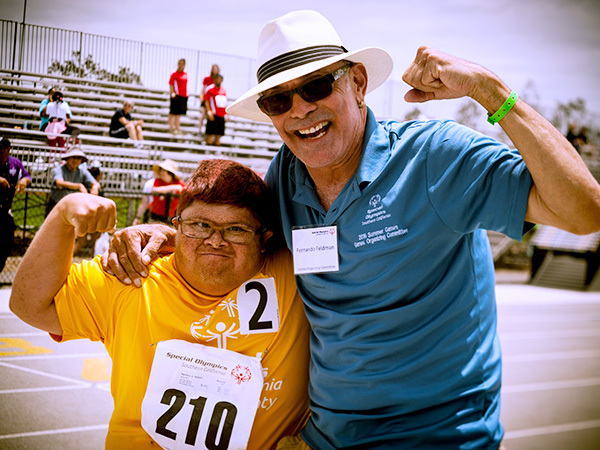 Team Wellness is fun for everyone, including people with and without intellectual disabilities, Special Olympics teams, group and day homes, and individuals. The activities require no special equipment and can be performed at home with or without a workout partner. To start a new program or find a program near you, please submit our online interest form.